Russian with English subtitles. A fencer who fled from the Russian secret police finds work in Estonia as a teacher and introduces his students to the sport. He is forced to choose between risking his safety or disappointing his students. Fleeing from the Russian secret police because of his controversial past, a young Estonian fencer named Endel is forced to return to his homeland, where he finds work as a teacher and starts a sports club for his students. Endel becomes a father figure to his students and starts teaching them his great passion, fencing, which causes a conflict with the school’s principal. 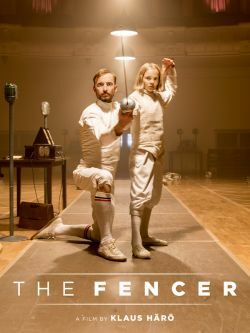 Fencing becomes a form of self-expression for the children, and Endel becomes a role model and father figure. He learns to love the children, many of whom have been orphaned as a result of the Russian occupation. When the children want to participate in a national fencing tournament in Leningrad, Endel must make a choice; risk everything to take the children to Leningrad or put his safety first and disappoint them.